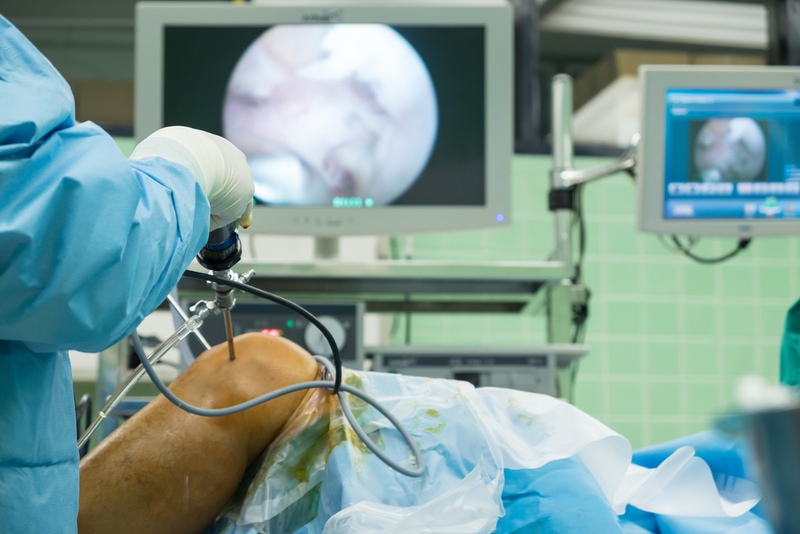 Arthroscopy describes a type of procedure designed to diagnose and treat joint issues without the need for large incisions, and in turn, long recovery times. Arthroscopy offers the ability to confirm a diagnosis, visually inspect an area that cannot be x-rayed, and gives the chance to correct an issue while the patient is under anesthesia. Doctors use a thin, fiber-optic tool equipped with a camera – called an arthroscope – to get the best view of what is happening in the affected area of a patient’s body. This allows them to look directly at the area to be treated via a projection of the camera’s image onto a monitor in the operating area. The tools used during arthroscopic procedures are so tiny, doctors are able to conduct treatment with small incisions made around the affected area, as opposed to one much larger incision, as is the norm for traditional surgeries. This results in minimized scarring, less blood loss, and reduced damage to any surrounding tissues. The small incisions made during arthroscopic surgeries heal much quicker than large incisions made during more traditional surgical procedures. In turn, there is also less bruising and scarring that needs to heal as well. Additionally, reduced scar tissue leads to shorter rehabilitation time. Though arthroscopic procedures are becoming commonplace and are significantly less impactful on the body than traditional surgery, they are still significant surgeries. Be sure to take the time to speak with your doctor about any questions or concerns you may have, as well as the long-term benefits of the procedure for you. If you’re in a situation that requires an arthroscopy, request an appointment online or call (904) 825-0540. Board Certified by the American Board of Orthopaedic Surgery and has extensive training in arthroscopy and sports medicine reconstructive procedures.